Hallelujah! We finally had a good week - a week where things made sense in the NFL. In other words, after a couple of rough weeks we finally significantly outperformed throwing darts at a dart board as a method deciding who to pick in with our NFL office pool picks. We called some upsets - like Buffalo dominating the truly hopeless Bengals - and the favorites we picked mostly came through. After a few weeks that had me questioning whether I had ever actually watched a football game before, it’s nice to be back on track. New England at Detroit - The opinion changes pretty much every week as things happen, but right now I think that the Patriots are the best team in the AFC. The Lions are a long way from the best team in the NFC. In fact, they are a long way from good right now. Take the Patriots. New Orleans at Dallas - The Cowboys have been very impressive in the last two weeks after Jason Garrett took over for Wade Phillips. The problems that got them into their initial hole still haven’t gone away, though, and they are facing a team that is playing some very nice football recently. Take the Saints. Cincinnati at New York Jets - If I owned the Bengals, I would have fired Marvin Lewis before Minnesota or Dallas made their coaching changes. Of course, if I owned Cincinnati I never would have hired Lewis in the first place because he is so ridiculously incompetent. His team is clueless and terrible. I’ve lost some respect for the Jets recently because of their continued reliance on last-second comebacks, but they are far superior here. Take the Jets. Green Bay at Atlanta - Very tough game. The Packers are playing as well as any team in the league right now. The Falcons have forgotten how to lose at home since Matt Ryan came to town. This game is essentially a coin flip. I’ll go with the odds and take the Falcons. Pittsburgh at Buffalo - I love how the Bills are playing right now, and couldn’t have more respect for how well Chan Gailey has this band of misfits performing right now. Still, they are up against a pretty strong team here, and Pittsburgh is coming off a very impressive win. The Bills will give it everything they have, but it’s probably not enough. Take the Steelers. Carolina at Cleveland - The Panthers are truly terrible. Cleveland is much less terrible. Take the Browns. Jacksonville at N.Y. Giants - I really don’t like this Giants team, and haven’t been particularly surprised by their recent struggles. Still, they are at home here, and playing a team that is as inconsistent as anyone. Take the Giants. Minnesota at Washington - On one hand, I am tempted to think about the Vikings here because of the boost we saw Dallas got after getting rid of a coach who had totally lost control. Washington’s not a great team, either. The problem is, though, that things are such a mess in Minnesota right now, and I don’t believe for a second that Brad Childress was the cause of all the problems. Take the Redskins. Tennessee at Houston - The Texans have been a horrible disappointment. 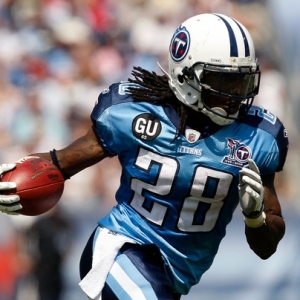 The Titans are bound to be distracted by the ridiculousness caused by Vince Young this week. This is an ugly game. I don’t love either team, but I’ll take the Texans here. Miami at Oakland - The Dolphins will either have a bad quarterback starting, or one that is banged up and frustrated. The Raiders are coming off the worst game they have played all year. This is another ugly game. I’ll take the Raiders - but only because they are at home. Kansas City at Seattle - The Chiefs have been generally inconsistent, and particularly lousy away form home. Still, I have to take them here. I just don’t like how the Seahawks are playing, and I find it very hard to believe that they are a team that is built to last - at least not this year. Take the Chiefs. Philadelphia at Chicago - These teams have the same record, but I really don’t think that they are on the same level at all. Philadelphia is coming off a string of impressive games, and are really flexing their muscles. Chicago just finds way to win, but it is always ugly. Take the Eagles. St. Louis at Denver - The Rams aren’t getting the results all of the time, but they always come through with a strong effort. They are a tough, feisty team. The same can’t be said about Denver - San Diego punched them in the mouth last week and they just sat down and quit instead of standing up and punching back. Take the Rams. Tampa Bay at Baltimore - I couldn’t respect what’s going on in Tampa Bay more than I do now - it’s a truly refreshing surprise. Still, I have to believe that Baltimore is the better team here - especially at home. Take the Ravens. San Diego at Indianapolis - I just don’t like anything that is going on in Indianapolis. I hate that the Chargers always seem to play their way into contention in their division after a lousy start, but I think they are going to get away with it yet again this year, and this game will help their cause. Take the Chargers. San Francisco at Arizona - This is quite possibly the worst Monday night game of all time. Awful. We know that the Cardinals will get truly lousy QB play. There is at least a chance that the Niners could get some competent play under center - a slim chance, but still a chance. Based on that alone, I’ll take the Niners. Seven of eight profitable weeks for football picks for Doc’s Sports and Doc has helped $100 bettors make nearly $9,000 during that stretch! Our picks against the NFL Point Spread for this coming weekend include some very strong plays and Doc also has a 6-Unit Game of the Year in college. Check our home page daily for NFL handicapping articles and up-to-the-minute updated odds.